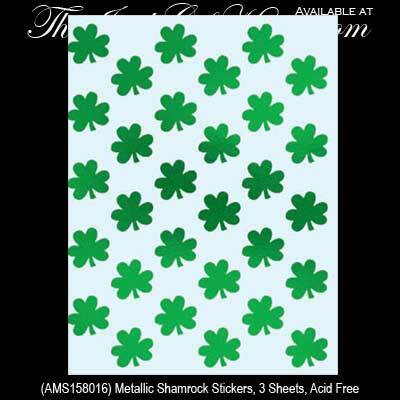 You get 3 sheets of 30 decals in this package of green metallic shamrock stickers. These shamrock stickers are about the size of a nickel. What would you do with 90 green metallic shamrock stickers? Would you share them with friends or would you use them to decorate? These shamrock stickers from The Irish Gift House are acid free.